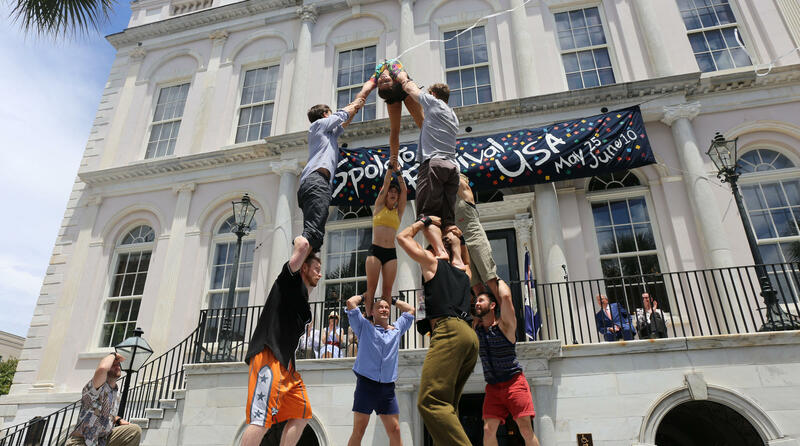 Gravity and Other Myths performs at Spoleto 2018 Opening Ceremony in downtown Charleston. 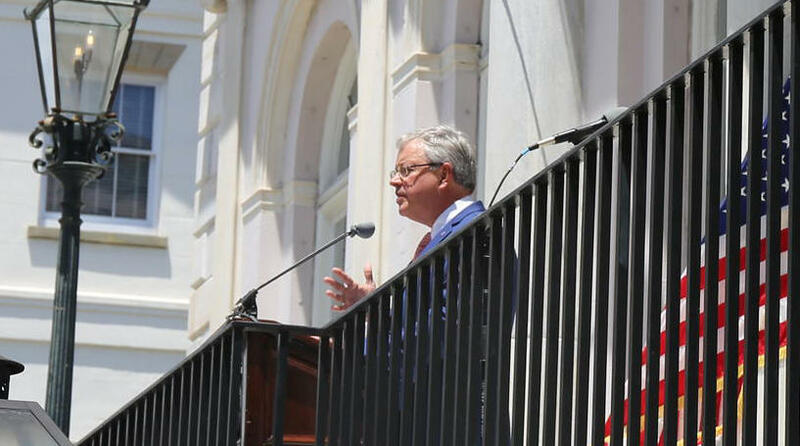 Charleston mayor John Tecklenburg (left) kicks off Spoleto 2018. On a day that is notoriously hot, a refreshing breeze swept down Broad Street in downtown Charleston and a forecast calling for rain seemed to have been delayed. A velvet voice welcomed the crowd with the song, "Carolina" and the bells of St. Michael's Church rang, signally the beginning of the opening ceremony for Spoleto USA 2018. The mayor walked out the doors of city hall, all smiles. It was the perfect day to kick off one of the world's most renowned arts festivals. A blast of confetti filled the air as nearly a dozen acrobats from the performance “Backbone” tossed one another into the air, posing and balancing in seemingly impossible positions. The crowd cheered, and with that, Spoleto 2018 is officially underway. Below: A clip of Gravity and Other Myths performing at Spoleto 2018 Opening Ceremony in downtown Charleston. 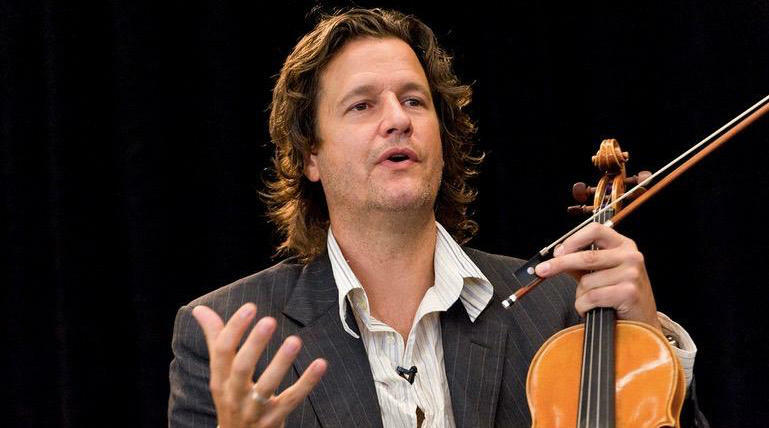 For violinist Geoff Nuttall, finding the right performers for the Bank of America Chamber Music Series is critical. "Everybody that comes is not only amazing and an incredible player," Geoff says, "but also super-easy to work with and a joy to hang out with." To kick off Spoleto Festival USA, we interviewed key figures and artists about their performances before they go live. 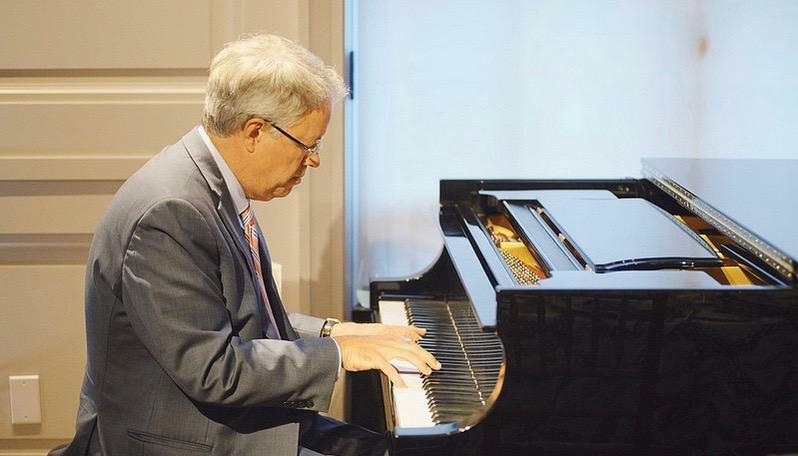 Let us take you backstage to get the inside scoop from Spoleto’s general director, Nigel Redden; the mayor of Charleston, John Tecklenburg; and the director/host of the Chamber Music series, Geoff Nuttall.